If you grew up in the 90's you'll remember So...? with fond memories. Mostly of being choked to death by their body spray in the P.E changing rooms but none the less, it'll bring back memories of a carefree time. So when I spied them at the Bloggers Ball a few weekends ago, I knew I had to head over and see what they had to offer. It hasn't changed much! 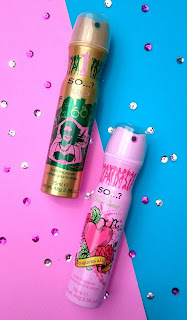 They have brought out a newer body spray range (Rio is my fave!) but apart from that So...? is just as I remember it. Somehow if anything it seems to be more grown up than I remember? The perfume is a total bargain to start with, you can pick it up for around £6 at most high street shops and you get 30mls worth of perfume for your buck. It's one that isn't over powering so can be worn whenever (I'd say more of a summer scent myself). It has blackcurrant, pineapple and citron along with sweet vanilla, musk and wood. It's one of those fragrances that although you probably used to put on half a can at a time when you were 14, will be a welcome addition to any collection you might have now your a bit older and wiser. You might have forgotten that So...? 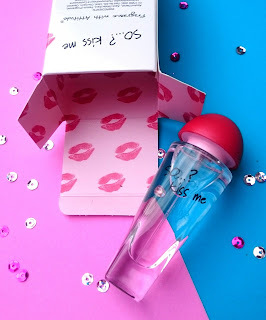 Kiss Me isn't the only perfume that the brand offer! I'd totally forgive you for it as I'd forgotten about some of these classics myself. So...? It was always the less popular of the range but I do remember having this during my youth. 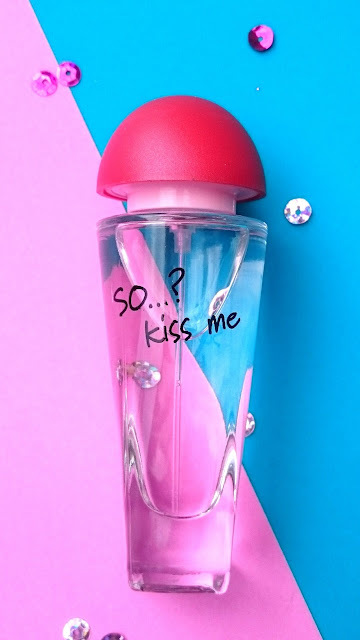 It contains notes of vanilla, patchouli and ylang ylang and is definitely more attention grabbing that it's Kiss Me counterpart. How about So...? Eternal with notes of citrus, amber and sandalwood fused together to create a woody fragrance or So...? Sinful with luxurious notes of pineapple, violet, vanilla and dark chocolate. This would be a gorgeous evening fragrance! Not forgetting their range of Couture body sprays and their range of Rock 'n' Roll body sprays! 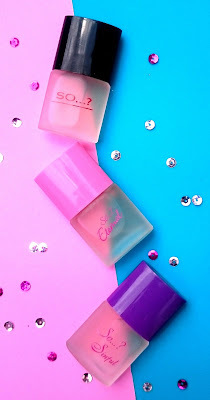 Both are worth checking out, even if you just pop them in your bag instead of lugging around a heavy bottle of perfume. So...? really are still massive game players in the fragrance world and I'm so pleased I went over and said hi! What was your favourite So...? fragrance? 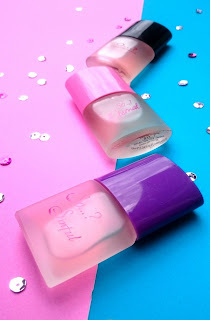 Will you be repurchasing a teenage fave? I remember everyone in my school owning one of these, I alas don't think I ever did. Maybe I should get on it now haha!